Send a clear message with the high quality porcelain on steel surface, which resists ghosting and staining. This hardworking board is also magnetic so you can display memos, photos and reminders. Low profile, 5/16"" thick anodized aluminum frame is durable and stylish. Board Type: Magnetic Dry Erase; Board Width: 48""; Board Height: 33 3/4""; Surface Material: Porcelain-Steel. 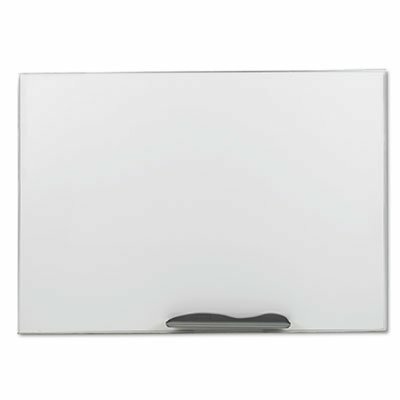 Ultra-Trim magnetic porcelain board features a slim aluminum frame. Aluminum frame provides a sleek finish to the style.